After the intense competition and low tariff days are over, operators are slowing hiking the 2G tariff. This tariff revision is not only for voice but also seen on data segment. Almost all operators cut down bundled usage on their 2G plans – Airtel, Vodafone and Idea are now offering just 1GB data for Rs 98, Aircel withdraws unlimited 2G pocket internet pack to favor their FUP enabled 3G unlimited plans. Even BSNL, Tata Docomo and Uninor cut the bundled data usage on most of plans. Reliance does not cut down usage on 2G plans, but they make it in a way something unusable – they cap 2G plans at just 64kbps (still better, as Airtel offers unlimited 2G – after 2GB it’s just 40kbps) as if people may shift to 3G after getting pathetic experience of Reliance 2G. Interestingly I find something very unusual from Tata Docomo, atleast in Kolkata. 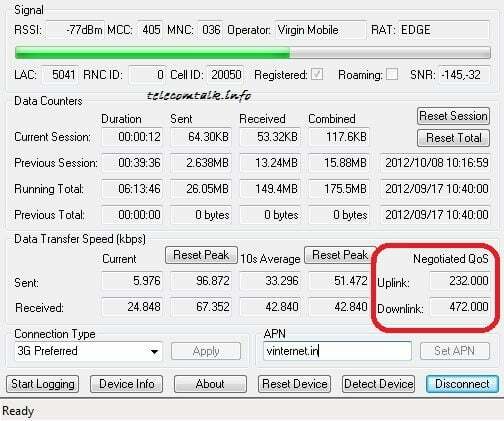 Earlier they used to cap the 2G SIMs at 128kbps in Kolkata. 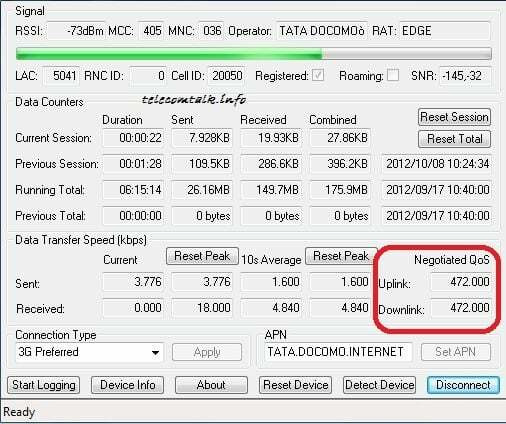 I have talked with some Tata Docomo officials, but none of them couldn’t give me a proper explanation of this capping considering in Kolkata Tata Docomo does not offer 3G services. Some days back I found that Tata Docomo removes that data capping on 2G SIMs in Kolkata as I checked this with three different SIM cards of Tata Docomo GSM. Now the data cap is 472kbps downlink and uplink both. It seems Tata Docomo likes to offer good 2G data services in 2G only circles. I like to see some feedback from TT readers who are from Tata Docomo’s 3G circles regarding the capping status of Tata Docomo. Please use Huawei modem and MDMA to check this speed cap. Also I find that there is little glitch to connect to Tata Docomo 2G network for internet access. As soon as you recharge a internet pack, the connection may not be established instantly. You have to wait for a while to connect to internet. Data card users can unplug and re-plug the dongle to resolve the issue. You may also see errors (628 & 619) while connecting, just keep redialing for some times it will be connected. Here it gives 2-3 KBPS in 3G. i am getting same 470-480kbps sometimes it crosses 550 also …..i have tested it in huawei E303c it is good that they are providing speed.